The firm was established in 1997 as Worsfold Macfarlane McDonald, PLLC as a civil trial law firm serving corporations, individuals and the insurance industry in matters of commercial and personal injury. With the retirement of Charles Worsfold, the firm name was changed to McDonald Pierangeli Macfarlane, PLLC. 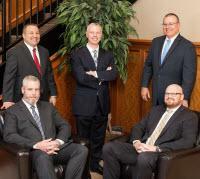 The goal of MPM is to provide exceptional legal services at a reasonable price. We recognize the increasing costs of doing business necessitates that matter in litigation be handled efficiently and with the expertise necessary to bring matters to a swift and successful conclusion.